A jet-powered drone with a range of 1,800 miles from the nearest base is now operational, according to its maker, weapons contractor General Atomics. The Avenger has the ability to fly up to 500 miles per hour at as much as 50,000 feet for up to 18 hours. 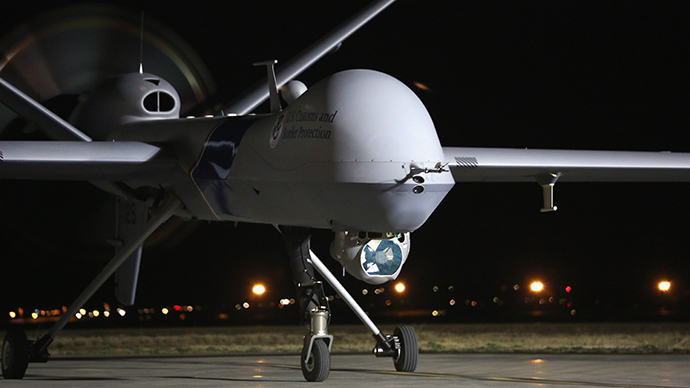 The long-range, high-speed drone – based on General Atomics’ MQ-9 Reaper drone – will offer unprecedented endurance to surveillance or lethal strike missions. A prototype for Avenger, formerly known as the Predator C, first flew in 2009. The drone is operationally ready, General Atomics says, based on the latest round of tests that were completed in January, according to Wired.com. Compared to its earlier version, the drone’s fuselage has been extended by four feet in order to carry larger loads and to accommodate an increased fuel capacity. The Avenger can carry as much as 3,500 pounds internally; its 66-foot (20.12 meters) wingspan can carry weapons as large as 2,000 pounds, such as Joint Direct Attack Munition. JDAM is a “guidance kit” attached to drones“that converts existing unguided free-fall bombs into accurately guided ‘smart’ weapons,” according to weapons maker Boeing. The long-range drone’s arrival on the scene comes at an opportune time for the US, as negotiations with the Afghan government over an American presence in Afghanistan beyond 2014 have stalled and frustrated American officials. 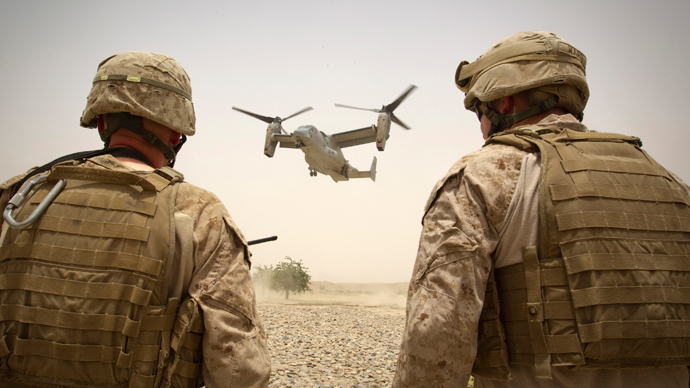 The US is expected to withdraw all or most ground forces currently stationed in Afghanistan by the end of 2014. The jet-powered drone will help the US continue to launch covert CIA drone strikes in Pakistan’s tribal areas – activities currently based in Afghanistan – and similar operations from a distance heretofore impossible with propeller-reliant drones. 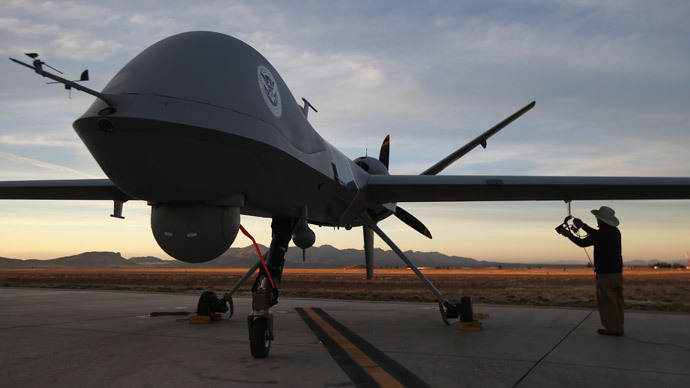 With the future of the CIA’s abilities in Pakistan in question, the Los Angeles Times reported that the US is considering moving its drones to air bases from Afghanistan to elsewhere in Central Asia. US Secretary of Defense Chuck Hagel confirmed in early February that US officials are seeking options for drone bases in the region beyond 2014. 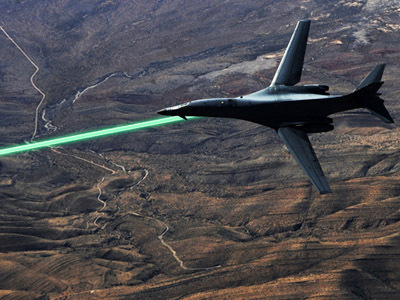 In addition to its endurance capabilities, Avenger has been previously advertised to come with HELLADS, an ultra-light laser capable of repeatedly destroying objects at the speed of light. In a digital video showcasing the Avenger drone, General Atomics showed a formation of drones annihilating a shower of ground-launched interceptor missiles in a split second, before making them an offensive weapon and targeting objects on the ground. 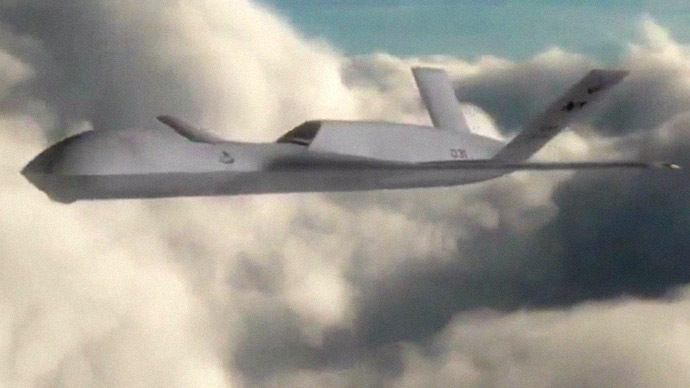 Yet despite the Avenger's operational status, there has been no verification of whether HELLADS is part of current iteration of the General Atomics drone.